When we head out for an evening of fun, we usually expect to end the evening safe and happy back at home. But if you get caught drinking and driving in Oklahoma, you could end up in jail. It is a terrible way to end an evening, and if you are intoxicated, the nightmare will only be starting. If you are arrested in McAlester on a drunk driving charge, you need an attorney immediately. An experienced McAlester DUI lawyer can help you minimize the impact of a DUI now and in the future. If you are arrested on a DUI or if you refuse to take an alcohol test, your license is immediately suspended and you will be taken to jail. Your attorney can help arrange bail and help you get a modified suspension of your license. This may allow you to continue to use your car to get to and from work with the addition of an ignition interlock system in the vehicle. The interlock device prevents your vehicle from starting if your breath alcohol concentration meets or exceeds the startup set point. You must act quickly to protect your driving privileges. You only have a 15-day period from the date of the arrest to appeal your suspension. If you fail to do so within that period of time, the suspension could be in place for at least six months. There are defenses to a DUI that you should explore with your attorney. A skilled McAlester DUI attorney can help you determine if the breath alcohol test was properly administered and documented, if the police stop was valid, or other defenses that might be appropriate to your circumstances. It may be that you were not the one who was driving, or that the test was improperly administered. Circumstances vary quite a bit from one arrest to another. Your attorney can help you get the charges reduced or dropped if your circumstances warrant it. Even for a first-time DUI conviction, you could face up to one year in county jail — or four years if a child was with you in the car. A subsequent arrest will result in jail time of up to five years. Jail is serious. A year in jail will alter your ability to work, your relationships, and your life. 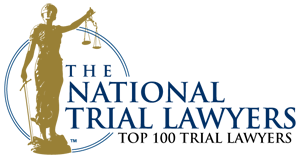 A skilled McAlester DUI attorney will help you through the consequences of your arrest and can advise you regarding ways to minimize those consequences and get on with your life. Seek help as soon as you are arrested. Your memory is freshest right after the arrest. Small details can make a difference to your case. And as memory fades, those details can get lost. Contact an experienced McAlester DUI attorney as soon as possible after your arrest. 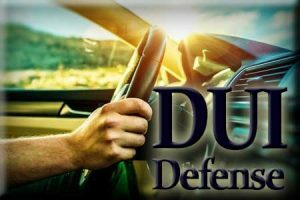 Our DUI attorneys are experienced in felony and misdemeanor DUI defense, and we provide the depth of legal knowledge essential to defending DUI cases. Meet with your attorney as soon as possible. You can expect that your attorney will request copies of all documents, review the prosecution’s case with you, and determine the facts that you will need to present as a defense. Your McAlester attorney then will discuss the options that will best protect you and your rights. Wirth Law Office – McAlester DUI lawyers offer free consultations for those who need to know what options are available for a person arrested for DUI. In this brief initial consultation, our DUI attorneys can get an overview of your case and provide you a summary of options that might be available. If you or a family member is facing a DUI charge, call the Wirth Law Office-McAlester immediately for a no risk, no obligation consultation. Call us immediately at 918-302-9656 or complete the question form at the top right of this page.